We will focus on migrating Prestashop 1.6 from standalone server installation to three separate servers with MariaDB Galera Cluster and GFS2 (Global File System) running on CentOS 6.5 64 bit. We will use a server for shared storage and ClusterControl. Please review the above posts if you’d like to use a different clustered file system or MySQL Galera vendor. 3. The deployment will take about 15 minutes, and once completed, the ClusterControl UI is accessible at http://192.168.50.120/clustercontrol. You will now see your MariaDB Cluster in the UI. ** The following steps should be performed on storage1. ** The following steps should be performed on prestashop1, prestashop2 and prestashop3 unless specified. $ yum groupinstall -y "High Availability" "High Availability Management" "Resilient Storage"
$ yum groupinstall -y "High Availability" "Resilient Storage"
Note that you should take a backup of your shared storage server either by using DRBD or simple rsync for better redundancy and high availability. If you are not familiar with Red Hat Cluster and GFS2, we highly recommend the Red Hat Cluster Administration documentation. ** The following steps should be performed on prestashop1, prestashop2 and prestashop3. 2. 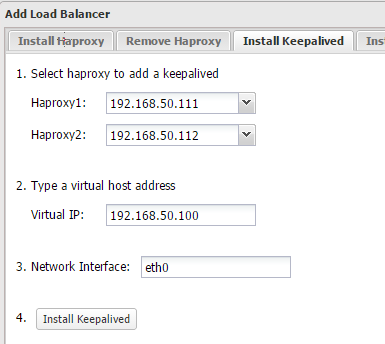 Deploy HAProxy on lb1 and lb2 by using Add Load Balancer wizard. 5. Create a schema for Alfresco by using Manage > Schemas and Users > Create Database and create a database called "prestashop". 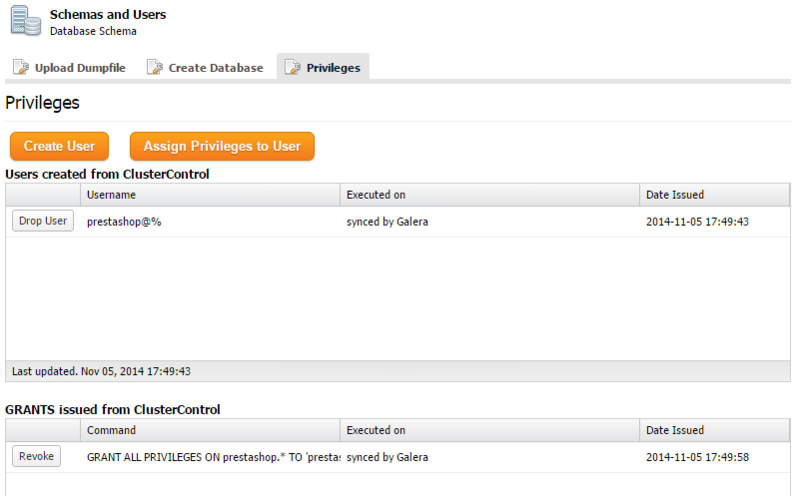 Then assign all privileges to the schema with a wildcard host (‘%’). At the moment, MariaDB Galera Cluster is load balanced with virtual IP, 192.168.50.100 listening on port 33306. 1. It is advisable to put the shop in maintenance mode from the Administration interface. Go to Prestashop > Preferences > Maintenance > Enable Shop > No. 7. Once the migration is complete, you can access the website via virtual IP, 192.168.50.100. Do not forget to turn off Prestashop maintenance mode at Prestashop > Preferences > Maintenance > Enable Shop > Yes. 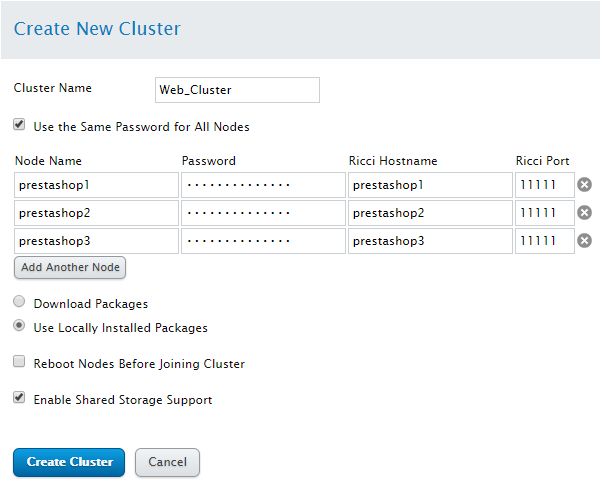 The migration of Prestashop to a clustered environment is now complete.